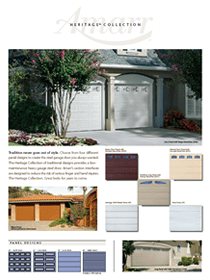 We are proud to offer a complete line of steel sectional garage doors to fit the style of any home. 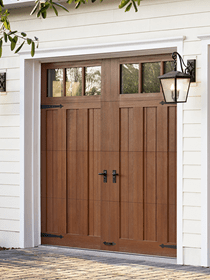 Enhance the beauty of your home with our traditional raised panel style door or raise the bar of your neighborhood with one of our Carriage House Style designs. 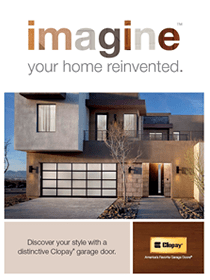 Call or email us today to have one of our qualified estimators give you a free in home estimate. 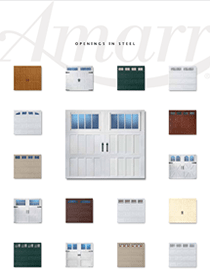 Ask yourself the following questions to help choose the right steel garage door for your application. 1. Is it for your home or a rental property? 2. Is energy efficiency important? 3. Is strength and durability important? 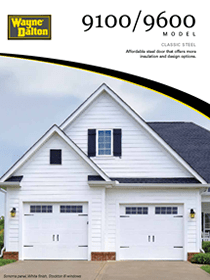 Steel back insulated doors are more pricey however they offer better energy efficiency and tend to be much more durable and last a lot longer than the non-insulated version. 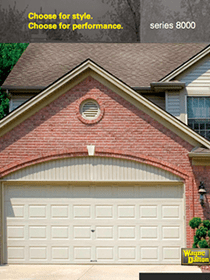 Non-insulated doors are a cost effective way to add a little curb appeal to your home without breaking the bank. 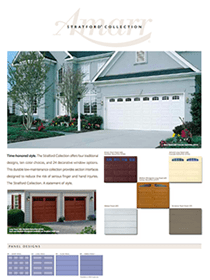 Colors: White, Almond, Desert Tan, Sandtone, Chocolate, and Ultra-Grain Medium Finish and Cherry Finish. 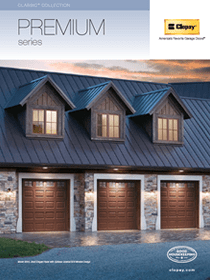 Click to view Ultra-Grain Brochure. 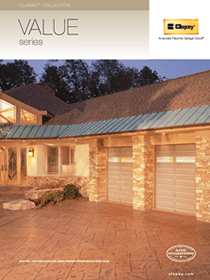 Window Options: Click on the Brochure For Window Option *Also available with vinyl back insulation upon request. Need Some Ideas? Looking for Something Different?